Autodraft has over twenty year of Home Design and Drafting in Grand Junction, CO. We have been based in Grand Junction. We provide services to builders and home owners through out the state. 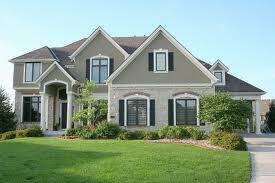 Autodraft provides full custom home design services. We can design homes for any lot in any area. Call us for a free consultation. Welcome to Autodraft Home Design and Drafting. Gilbert Maynard, the owner of Autodraft has 20 years of Home Design Experience. If you need construction plans for your project, you are at the right place. You can call AutoDraft at (970) 241-6782. I was in Grand Junction last week while touring with the Colorado Technology Association but didn’t get a chance to visit your office. I wanted reach out to you and see if you were in the market for desktop 3D printers to print our 3D models of your work. I represent Lulzbot, the manufacturer of desktop FDM 3D printers in Loveland, CO. If you get a chance to visit our factory, I highly recommend it. We give a tour every Friday at 2pm. Please take a look at reviews of our TAZ 5 and Lulzbot Mini and you will find that they are among the best 3D printers available in their price range. Our printers are $2200 and $1350 respectively with a very large print bed on the TAZ 5. A great advantage over other machines is their ability to print in flexible and functionally strong materials like Ninjaflex, Semiflex, Nylons and Polycarbonate. If you are interested in seeing what else is now out there please check out our website at http://www.lulzbot.com and you can find 400,000 3D models available from http://www.yeggi.com that you could use for your learning programs. Some of our customers include NASA, MIT, Grand Junction Makerspace, National Park Service, National Institute of Health,and National Renewable Energy Lab. Please let me know if you have any questions on 3D printing and I’ll try to answer any questions you have. Thank you for your time!